Arthur Benjamin is an American mathematician known for his stage and TV shows in mathemagic – showing off his skill in rapidly performing calculations with large numbers. He has published multiple books to teach these skills to others. 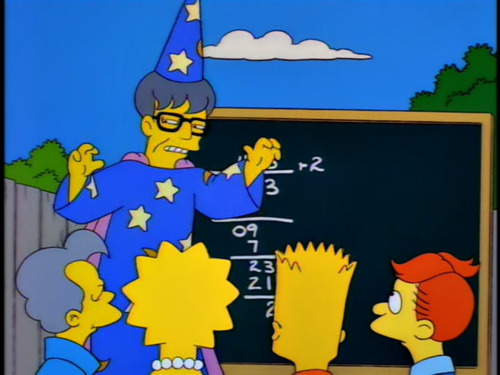 Arthur combines his love of magic and maths to do some extremely quick calculations – squaring and multiplying random 2-3 digit numbers instantly as they are called out by the audience. 4 digit numbers took a little longer, but still within a few seconds. His next ‘trick’ was to ask the audience to multiply a known 4 digit number (8649, the result of an earlier calculation) by a 3 digit number of their own choice. The result was a 7 digit number. He asked the audience to read out any 6 of those numbers in any order, and he would name the 7th. Again, he gave the answers instantly. Next he’d ask people for the date of birth from audience members or another random date, then respond with which day of the week it was. Again his response was instant. By adding these 3 together, the result should equal 57,683 squared. As he does each of these steps he remembers numbers as words, so stores ‘cookie’ and ‘fission’ as some results. It takes him a bit longer, but his end result is correct coming to 3,327,328,489. The talk is entertaining enough, with Arthur having the perfect blend of charismatic and nerdy. As plenty of comments point out, he wasn’t perfect – calling out incorrectly when asked to square 457 (answer is 205849, he said 208849) http://youtu.be/M4vqr3_ROIk?t=3m38s. Still, given the number of calculations he did, it was an impressive feat. Unfortunately, there’s not much to take away from it, with him only giving an insight for the final 5 digit square trick.